The beautiful Georgian town of Westport is the idyllic setting for your holiday, set against the backdrop of some of the most unique and breathtaking scenery the country has to offer, we promise that you are in for an experience that you will never forget. 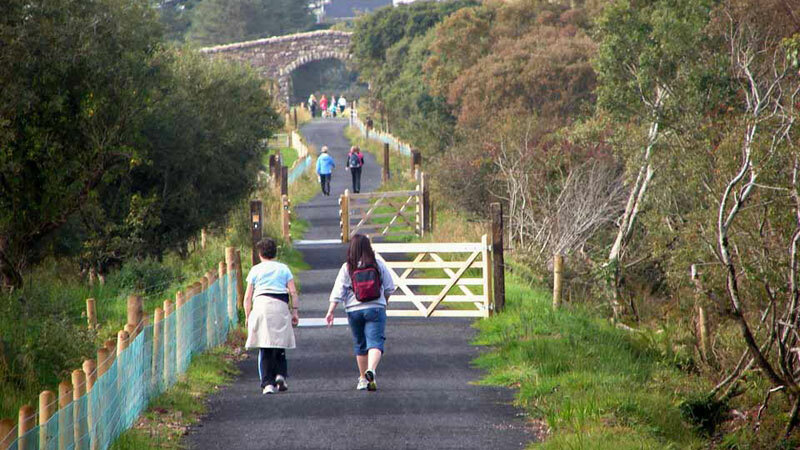 From hill-walking to horse riding or climbing Ireland’s holiest mountain Croagh Patrick, to cycling the great western greenway, we can guarantee that all of you activity enthusiasts will be excited and amazed. With an array of unique and exciting water and land-based activities such as sea-trampolining, kayaking, surfing and much much more, the only problem you’ll encounter is deciding which one to do first… Taking a breather, relax away on some of our many blue flag beaches around Westport, slip into the calming atmosphere of these tranquil beaches and indulge yourself in some “me” time in some of our superb scenic spots along the Wild Atlantic Way. If that’s not enough we have various music, food and cultural festivals throughout the year and of course you can always unwind after a fantastic days holidaying by soaking up the ambience in one of Westport’s many top dining restaurants or in the local pubs jam-packed with craic agus ceoil!!! The house itself was built in 1730 on the ruins of the legendary Irish pirate queen, Grace OMalley’s castle, it is now privately owned by the Browne family (descendents of Grace O’Malley) and has 30 rooms on show along with exhibitions, dungeons, original antiques, artwork and architecture with extensive beautifully landscaped gardens which host historical artifacts. Tea Rooms and gift shops are the perfect way to relax after your stroll around the grounds. The pirate adventure park is ideal place to spend a family day. 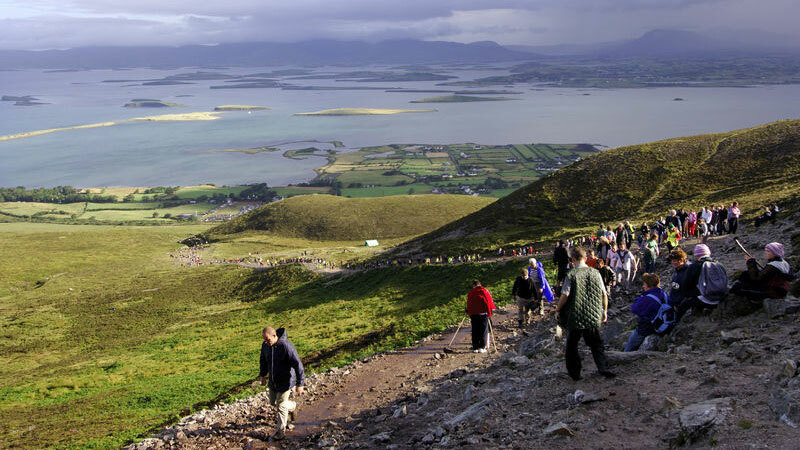 Take on the challenge of Ireland’s holiest mountain, Croagh Patrick. Reach back in time and join a tradition that goes as far back in the realms of history as 3,000 BC. 5 miles from Westport, Croagh Patick’s iconic conical shape soars majestically above the surrounding countryside. Enjoy the magnificent views of Clew Bay and the surrounding south Mayo countryside from a panoramic all encompassing height of 762m above sea level. 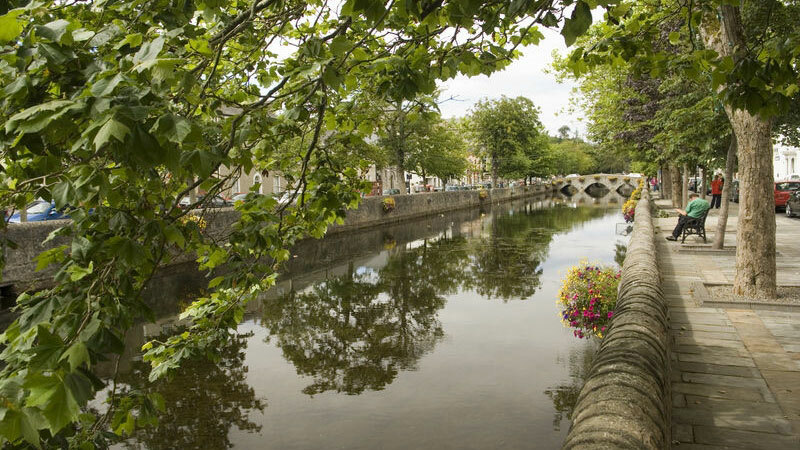 Picturesque and flower filled, few towns in Ireland can match Westport’s charisma and continental flavor with cheerful, multi-colored shop fronts jostling for attention and an attractive selection of shops, pubs, cafés and restaurants. Not only a town of innate beauty, it is also steeped in history. Wander through the old part of the town where you can travel back through time, all set under the dramatic backdrop of the watchful Croagh Patrick Explore with Stephen Clarke each Thursday to Sunday from the Octagon at 10am, 12pm & 2pm. No need to book – just turn up! 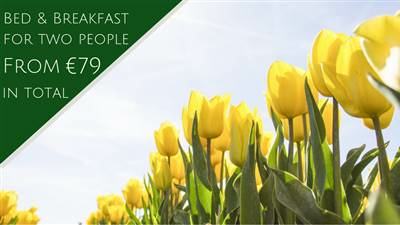 €5pp including a tea of tea.. Children free. Fly fishermen having been coming to this area for generations. The quality of game angling in Ireland's West is quite exceptional. Visitors fishing for salmon and trout in a natural, undisturbed habitat will enjoy a unique experience. 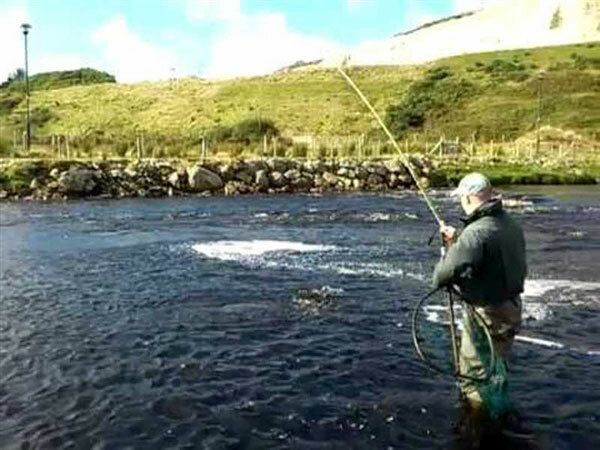 With a huge network of rivers and loughs, Ireland is the one of the few last refuges for wild salmon and sea trout attracting anglers back year after year. 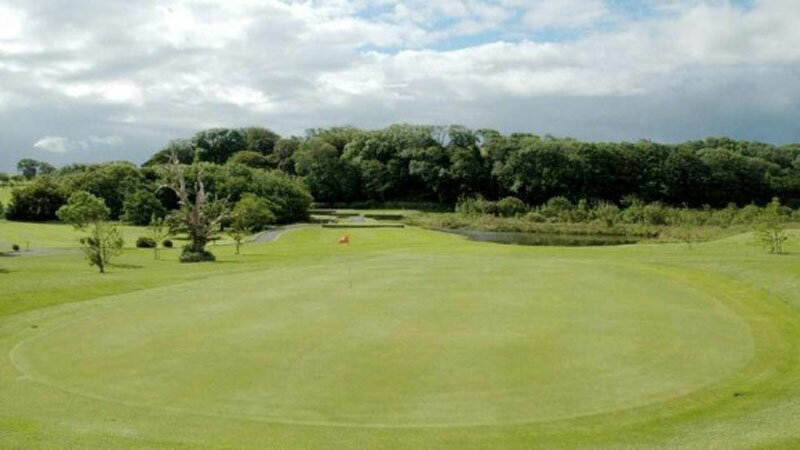 We’re spoiled for choice with Westport Golf Club on our doorstep. Part inland, part seaside, the view it commands and it’s golfing virtues makes it a unique golfing experience. A highly regarded championship venue, it is set in the scenic splendor on the shores of Clew Bay with breathtaking views of Croagh Patrick. Feel the fresh Atlantic waters while Sea Kayaking or enjoy the invigorating breeze while kitesurfing , make a splash sea trampolining or set sail on a Dinghy in one of Westports many coastal spots. 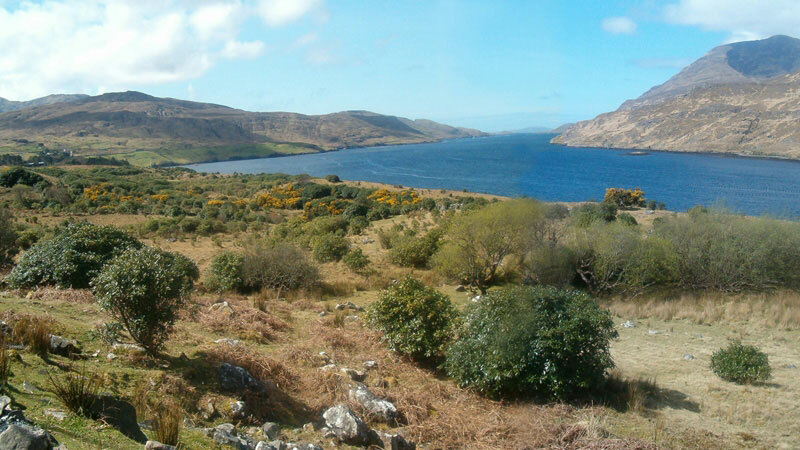 Prefer to keep dry, then Westport boasts some of the best on and off road cycling and running tracks, or you can gallop the countryside by horse. Fancy something different - ride through the air with a zipwire ride or tumble downhill in a giant inflatable bubble. 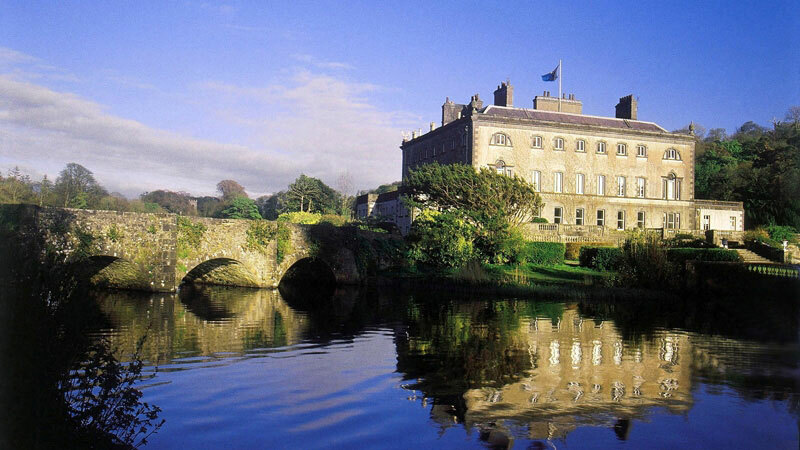 The serene beaches off Ireland’s western shoreline will set the tranquil tone for your break to Westport. 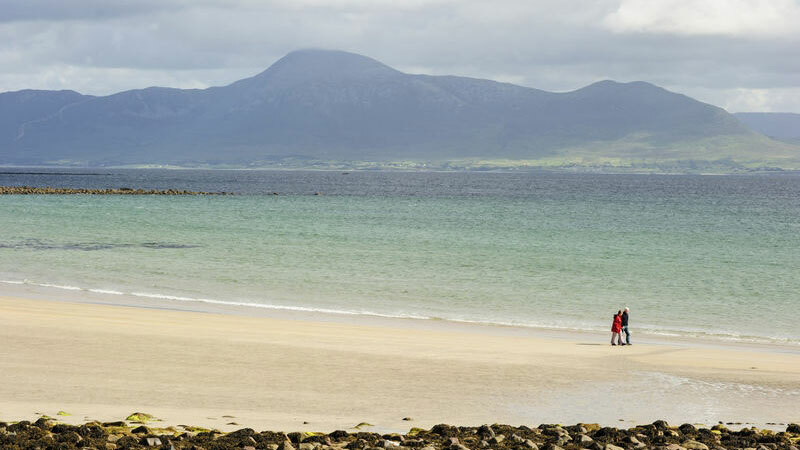 The beaches here have something for everyone whether its water sports, surfing or just building sandcastles, its ideal for family fun days and picnics on the beach..
Mayo is one of Ireland’s most spectacular and beautiful walking destinations. 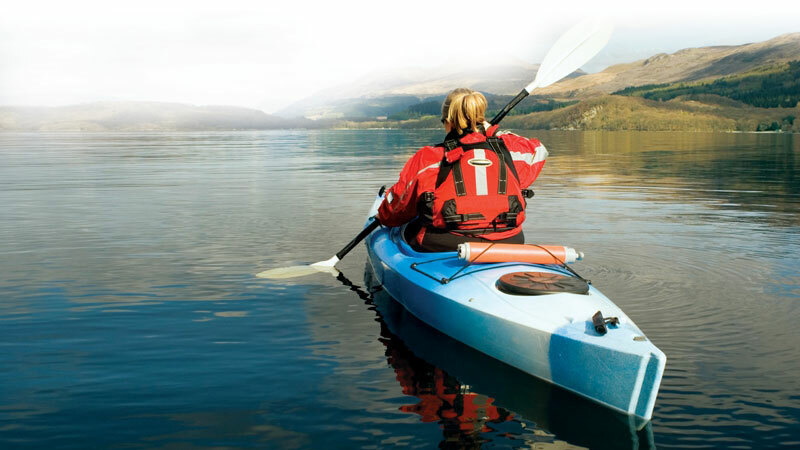 It offers not only wild mountain scenery but also dramatic coastal walks and seascapes. The vast Nephin Mountain range and iconic seascape of Clew Bay, with it’s drowned drumlin islands, provide spectacular views and ever changing hues. An abundance of walks, both guided and self guided, are right on our doorstep. The sea angling grounds of Clew Bay are amongst the best in Europe, while the inshore waters of the bay offer excellent shallow water angling. Boats can be chartered for angling, cruising or exploring some of Clew Bay’s reputed 365 islands. The relatively calm inshore waters among the islands can be fished for ray, bull huss, monkfish, dogfish and occasional tope. 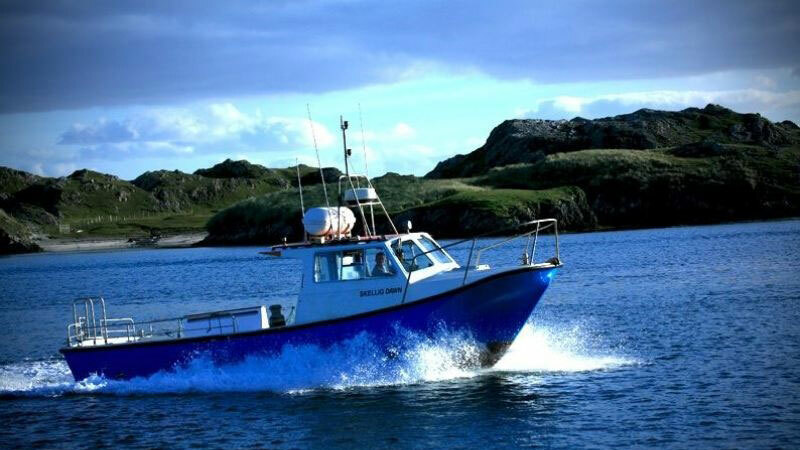 Excellent boat fishing over reefs and sand banks is available and the species you can expect to see include cod, coalfish, pollack, ling, whiting and turbot. Let your creative juices flow in Westport, an ideal spot to create your own reality on canvas with an abundance of unique, picturesque and stunning landscapes. “A picture paints a thousand words”, a maxim certainly true of the innate and never ending opportunity in the region. Stimulate your creativity, create your own personal works, and relax in your own reality with the secluded beaches, the striking coastlines and imposing mountains.